The Danube is truly one of Europe’s treasures. The second longest river in Europe, it is also the main source of most of Eastern Europe’s water. Experience the grandeur of a cycling vacation along the Danube through some of the most beautiful parts of Germany and Austria. Begin in Passau, a city on Germany’s border with Austria, that is known for its towering Cathedrals and convergence of three rivers. 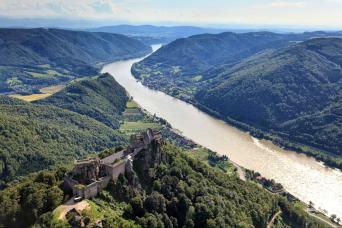 Continue through the vineyards of Shlögen to Wachau and taste the wines that make those two regions so famous. 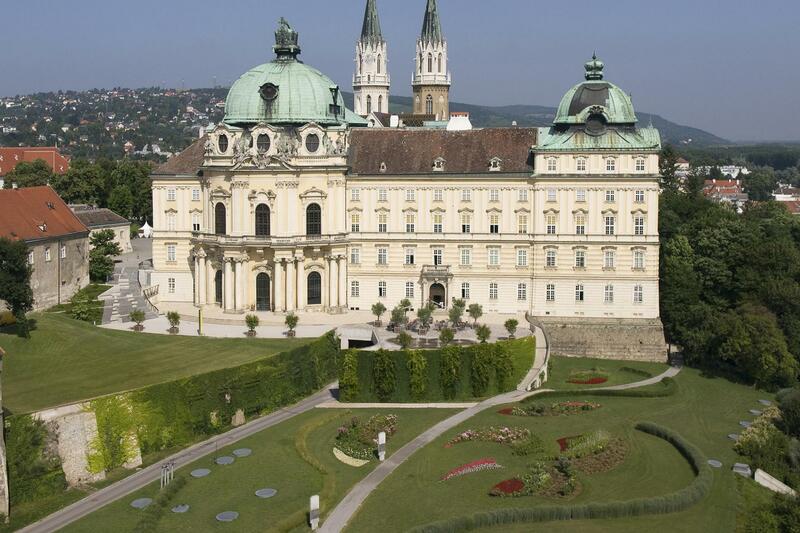 You will end in Vienna, birthplace to some of the most genius and world renowned names in art. The Danube Passau Route is well-traveled and you will truly feel like a local, as Pure Adventures provides you with all of the routes, lodging, and transfers you’ll need on this 5-day, self-guided cycling tour through stunning and historic Austria. Don't just ride the Danube, Experience it and Connect! At Pure Adventures, we believe your time is precious. We go to great lengths to ensure every component of every tour is arranged to our high standards. We don't compromise on values and quality and know you don't compromise your vacation dreams. Arrival to the starting point of this bike tour is in Passau, Germany, with its impressive cathedral, housing the largest church organ of the world. You will overnight in Passau and we will meet you for an orientation meeting tonight at 6pm at your hotel. At this time, we will go over the route book, set up your bikes, show you the GPS and cell phone, and answer any questions that you might have. We will gladly give you suggestions for dinner at our favorite spots and discuss all other suggestions for your tour in the week ahead! Dinner is on your own, after our meeting. The Hotel is located directly on the Danube, at a premium location in the heart of old town Passau. Romantic walkways with a Southern flair lead you to picturesque jewels of architecture and frequently visited sights. The Hotel Residence was lovingly historically renovated from the structure of a four hundred year old mercantile house, keeping in mind the requirements of a modern hotel, of course. One can feel the living history of Passau in this old structure. Interested visitors can learn a lot about the structure’s diverse and eventful history from the in-house chronicles. Due to the hotel’s central location you can find many restaurants and eateries which serve food and drinks to please every palate. Our employees are happy to help you with recommendations. Your cycling tour will begin with a beautiful ride alongside a densely-wooded, granite river valley. Through the Sauwald to Schlogen, the hard, impermeable granite rock forces the Danube to flow back on itself; an incredible natural feature to see with your own eyes. From it´s origins as a raftsman´s hostelery, our establishment has grown into a comfortable, modern, yet tradition-conscious hotel that offers its guests a wide variety of ways of spending their stay in the Upper Danube Valley. 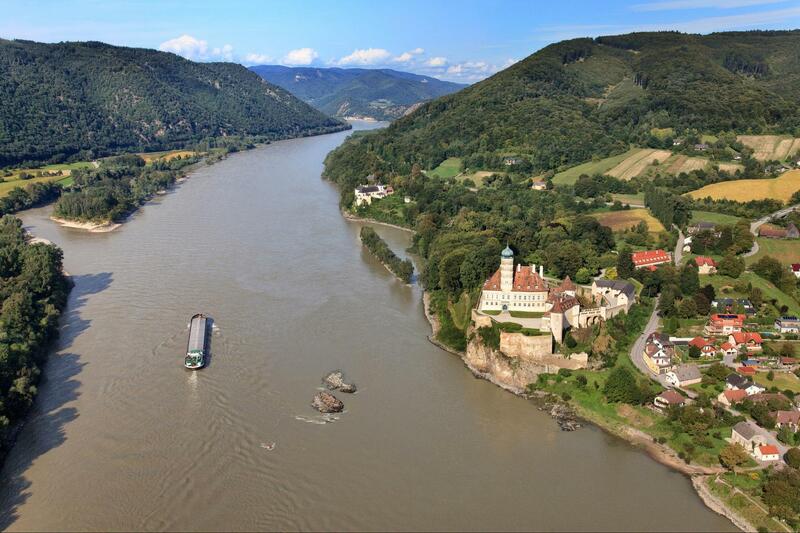 Today the route brings you along the immense Danube River Valley, between Schlogen and Linz. After a stop at the Wilhering Monastery with its particularly beautiful church, you continue on to the town of Linz. Linz offers a host of museums and churches including the Church of St. Martin, which is the oldest church in Austria to have survived in its original form. Overnight in Linz. Hotel Wolfinger is located in Linz’s beautiful main square, which has a history that extends back to the 15th century. The hotel gracefully combines progress and tradition – incorporating the comfort and convenience of a 3-star city hotel as well as the charm of historical stone walls, right in the center of Linz. The first stop on our route is Enns, which was once a Roman settlement called Lauriocum and is one of the oldest towns in Austria. The tower in Enns, built in 1565-68, is a masterpiece of Renaissance design. Another stop along the way is the riverside town of Mauthausen, which is lesser known as the site of a terrible concentration camp in WWII. The rest of the route brings you through the meadow landscapes of the Machland River plain to the beginning of the Strudengau River valley. On the way, you will pass through the towns of Wallsee and Ardagger, finally arriving at the town of Grein. 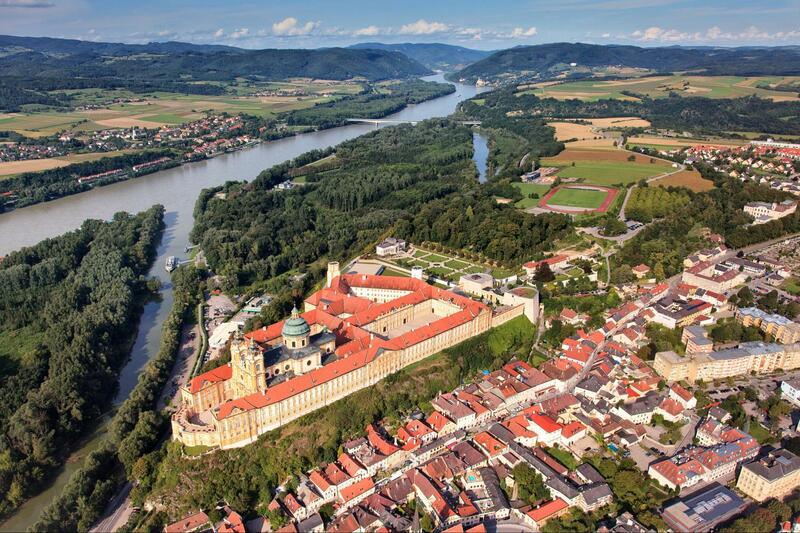 Grein, which sits charmingly on the banks of the Danube, has a dramatic and towering 15th century castle. Our hotel is a classic home with an intimate, family-style ambience. It is located on the Main Square in the center of Grein. Its proximity to the bicycle lane that runs along the Danube makes it ideally located for cyclists touring the Danube area. The hotel is also ideally located for guests interested in cultural events; the Municipal Theater is right next door and historic Grein Castle is relatively close by. Each of our hotel's rooms is tastefully decorated and equipped with a complete private bathroom, television, telephone and safe for valuables. Between Linz and Melk you will be cycling through the beautiful landscape of the Studengau, a narrow section of the Danube. Today you will take a peaceful and romantic ride through the countryside along the Danube, passing through tiny Austrian villages. After the village of Marbach, you will pass the Maria Taferl, a centuries-old pilgrimage destination perched atop a rugged hilltop. 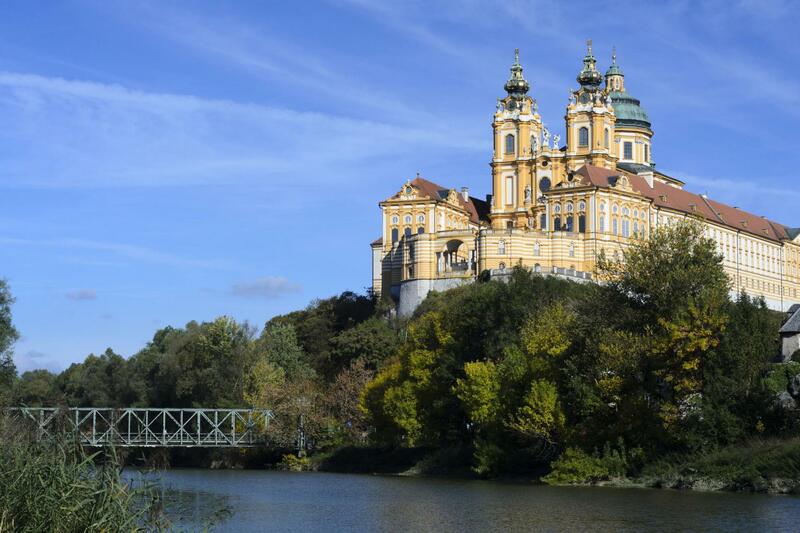 As you cycle on to Melk, you will begin to encounter the historical landscape of Nibelungengau. 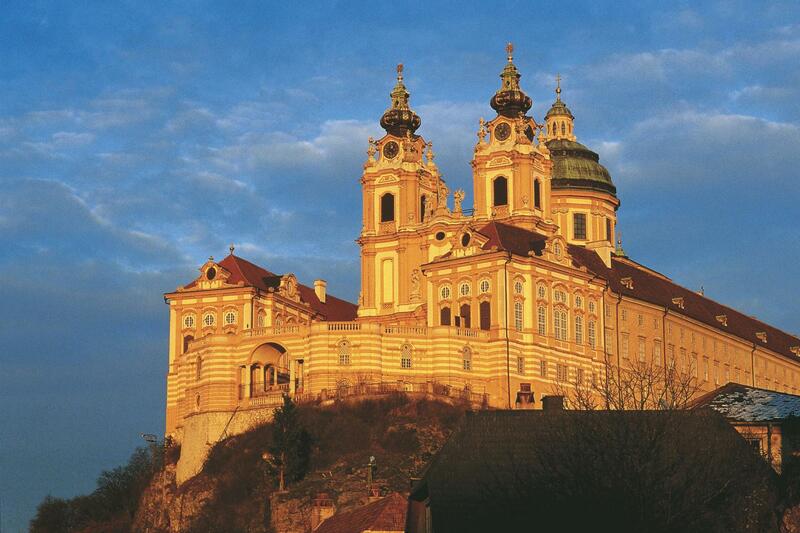 Then it is on to Melk, with its famous Benedictine Monastery and spectacular church. This hotel-restaurant has been family-owned for 4 generations. Located in the city center with its own restaurant, in-house sauna, it is the perfect spot for a relaxing stay. Don't forget to try their ice-cream, known as the best in Melk! Today the route follows the Danube through the beautiful, UNESCO protected Wachau wine region, with its many vineyards and orchards. 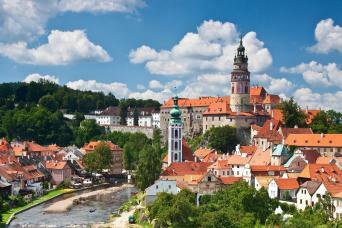 Along the way is Durnstein, a very picturesque town with narrow streets, busy squares and charming shops for browsing. 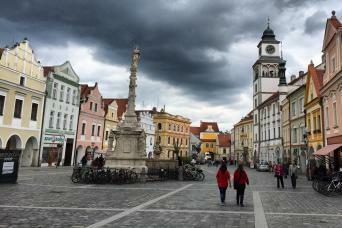 Next comes the historic town of Krems, with its 17th century Town Hall and many beautiful churches. 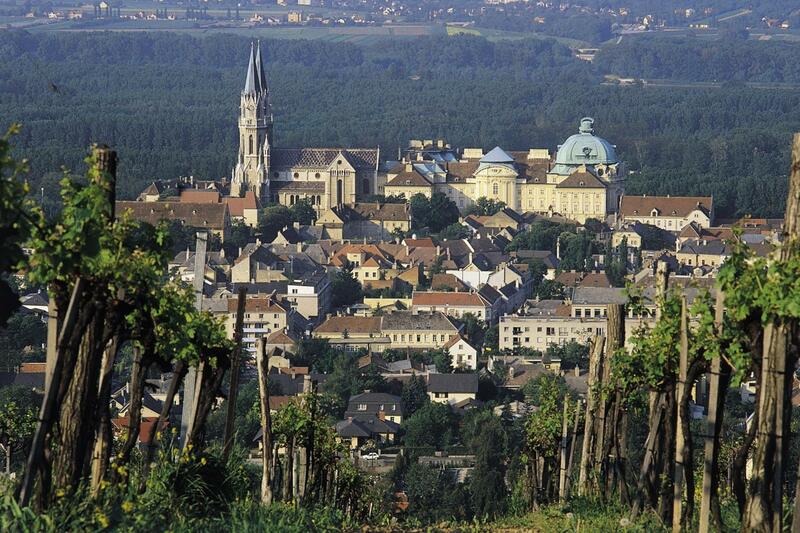 After Krems, you cross the Danube and get a superb view of the town. Lastly, you bike through Traismauer, past the Gottweg Monastery, to the town of Tulln. Located in the "town in bloom" Tulln, the Nibelungenhof offers a unique mediterranean ambience. We are a small and charming hotel and would like to invite our guests to relax along the Danube river. Our house has been totally renovated in October 2005 and has now 18 individually furnished rooms to offer. Hotel Nibelungenhof in Tulln On sunny days you can relax on our summer terrace. The final, short stage of your fantastic journey brings you through the Wienerwald Forest to Klosterneuburg, with its Augustine Church, dating back to 1108. The destination of Vienna is a vibrant and beautiful city with many things to do, including seeing the cathedral and the incredibly designed Hundertwasser House, designed by Friedensreich Hundertwasser in 1985. Experience Vienna in its most personal ambiance! Courtyard terrace, Hotel Austria Look forward to your stay in the warm and friendly atmosphere of our 3 star hotel, personally guided and designed meticulously and lovingly, situated right in the heart of Vienna. Our hotel lies in the midst of the historical Old City of Vienna, only a short walking distance from St. Stephen's Cathedral, a few minutes away from the Vienna State Opera, the Hofburg and the famous shopping streets. Lie down in one of our 46 comfortable and peaceful rooms, equipped with free wireless LAN (WI-FI) hotspot, a 5 language cable-TV, a telephone with mailbox, an extensive minibar, tea and coffee making facilities and most of all, a uniquely individual ambiance! Departure on your own, today from Vienna. If you have the time, you can continue on to Prague on one of our Vienna to Prague bicycle tours! 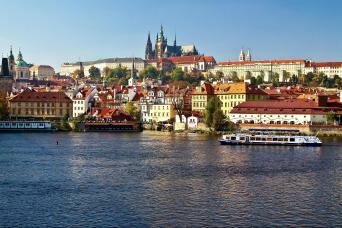 See the most popular, Vienna-Prague tour here. - Ask about wine tasting options or special gastronomic dinner options! Accommodation: Hotels in charming 3/4 star guest houses and small charming hotels. A number of dining options exist in or within short walk of each property. All accommodations include private bathroom and a variety of other amenities. Note: if you are looking to join an existing guided group, please inquire for set dates. Dates: April through October; this is a self-guided and supported tour. You can go any date subject to hotel availability. Self guided or supported: What is self-guided cycling? 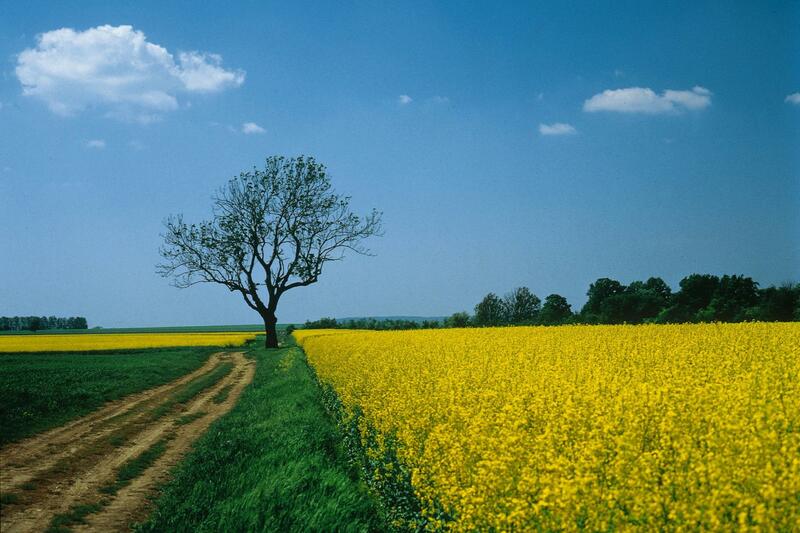 Moderate overall - flat to rolling countryside, some longer ride days to prepare for in advance. 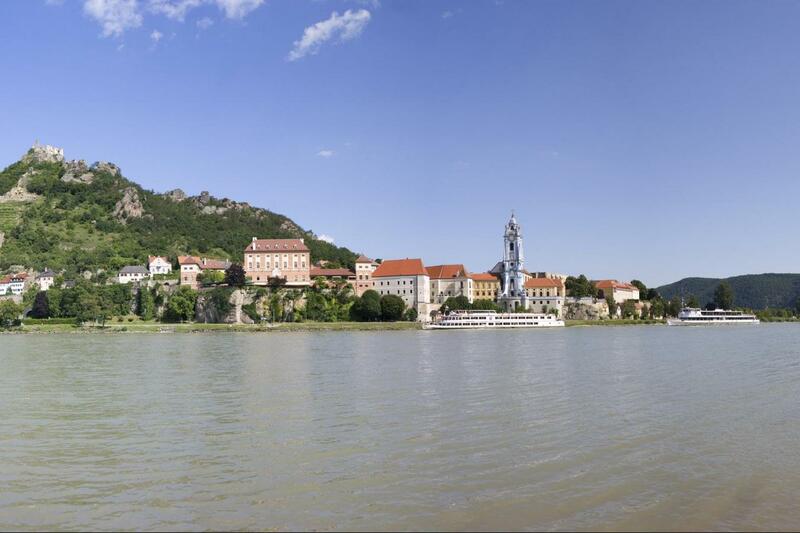 - Longer ride options; this tour along the Danube can be combined with another Danube trip from Vienna to Budapest for a 2 week trip! Contact us for more details on this add on. Best Time To Go: March - May, September - November. "I have just returned home from our wonderful trip to Eastern Europe and wanted to tell you how pleased we were with all your arrangements. The service on the ground was really amazing. Tom was always easy to reach with the cell phone that was part of our gear, and more than accommodating. The hotels that we stayed at surpassed our expectations in every case. And the breadth of exposure to Czech history and culture was lovely. And best of all, the GPS kept us on the straight and narrow most of the time. " "Fantastic Trip! You folks really have this bike trip thing down. Every aspect of the trip was great..."
Helmets, (one size fits all). Pannier for hybrids - 1 per bike standard. Pedals: flat or with cages. Travelers may bring their own clipless pedals to have installed. If you bring your own pedals, please bring your own wrench to remove them from the bike at the end of the tour. Carbon-fibre road bikes Trek Domane and Silque WSD as well as E-bikes are available for a higher rental supplement of 270 Euro for the week. Please inquire for rates and details. TREK 900 Tandem are also available : Our TREK 900 tandem bicycles are sturdy, strong and comfortable. The Alpha aluminum frame makes it light. Schwalbe Marathon Plus tires provide excellent puncture resistance, while the comfortable, upright riding position allows you to enjoy the view. The tandem bicycle comes with 20-liter capacity panniers.